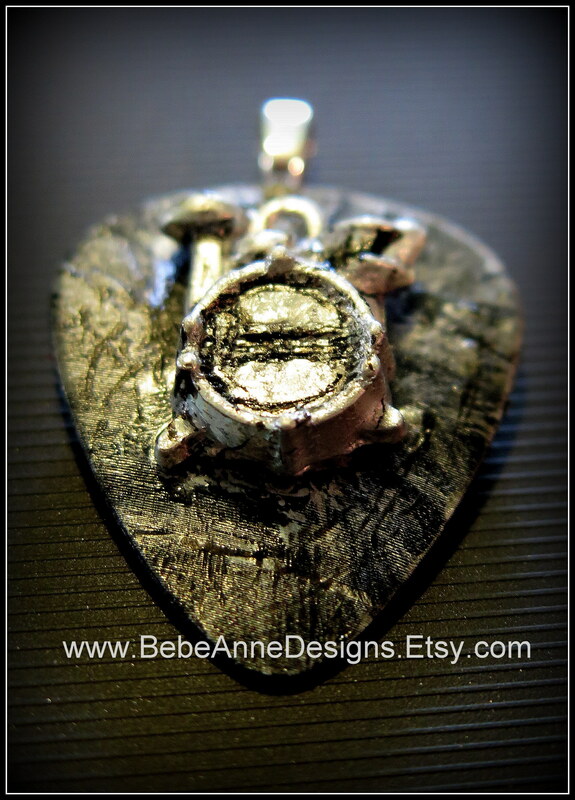 I’m excited to show you some newly made guitar pick necklaces I made from old scratched vinyl record. 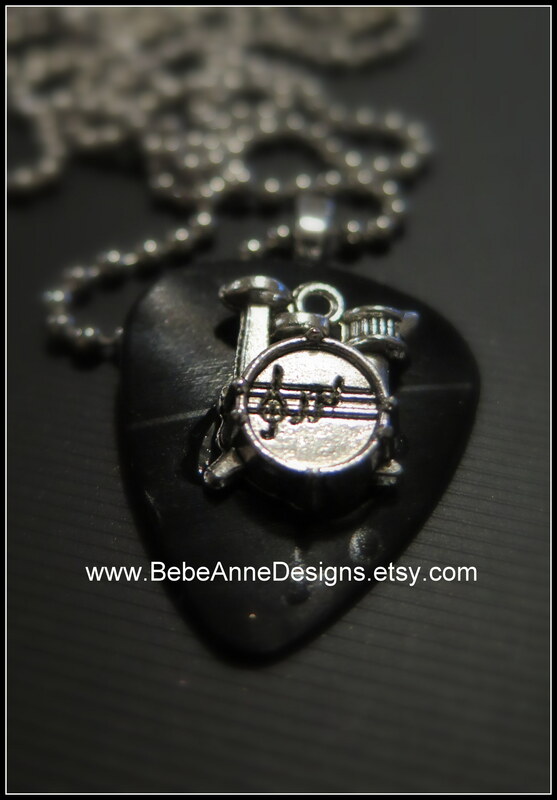 I then customized the hand made guitar pick with a drum set to give it an artistic timeless music inspired necklace. There is so much history in a vinyl record. Some people call them an LP or a record, either way, the musical talent you hear from a turn table is amazing. There is no sound better that then sound of that needle hitting the lines. But what happens when that vinyl record is no longer playable? I have found a way to upcycle those records into unique jewelry designs. I took a Moody Blues record and designed a custom necklace for a musician at heart. Each jewelry piece is handmade and decorated. There is no other guitar pick necklace like it! Where do I find these records? I have found them in several places. I have traded un-scratched vinyl records for scratched records. This is a great way to keep the vibrant country music, Christian music, Hawaiian music, classic rock or more in circulation. When I ask for a scratched LP, I get a strange look. I explain that I recycle or upcycle them into jewelry. What better way to preserve the history of a vinyl record that was once unusable! The process of making the record into a guitar pick is long, but well worth the result. 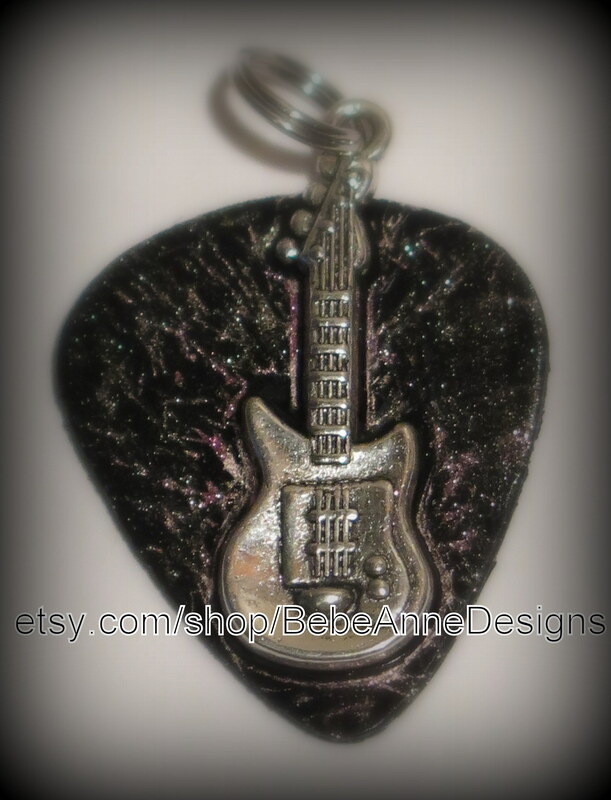 Seeing a hand cut guitar pick made from a shiny vinyl record inspires me to make the next jewelry piece. Each guitar pick has unique lines, giving it texture and beauty. Whether you are a musician, mother of a band geek, groupie, superfan, lover of music or radio station personality, these guitar pick necklaces made from vinyl records are a fantastic addition to your jewelry collection. And, if you have a custom request, shoot me a message! I would be happy to design your next music inspired piece.